This topic is for posting your music, movement and motion ideas and lessons for teaching about Jesus calling the Disciples, Following Jesus, etc. Chris Tomlin, the super popular Christian singer-songwriter, has a great song titled "I Will Follow" whose lyrics lend themselves to being "mimed" in a "follow the leader" -type exercise. See the music video and link to it below. Have the kids pair up and face each other, forming two rows that are facing each other. One row has it's back to the board/flipchart where the lyrics are posted. The other row can see the lyrics. The teacher stands near the flipchart so they can see it. They lead the motions so that one row of kids can see them doing it and follow them, but the row of kids with their back to the lyrics and the teacher can only follow the row of kids who CAN see the teacher. Have the words to the song written on flip chart pages, or the board, or projected on the wall so that only the teacher and the row of kids facing the lyrics can see them. How do you come up with the motions? You do that as part of your Bible study. Working together or in groups, discuss each line of the lyrics decide what "simple motion" everyone will use for that line of lyrics (the lyrics come fast, so keep the motions simple). As you decide on the motions, the teacher can WRITE THE MOTION on a BIG POST-IT and stick it next to the line of lyrics -as a reminder of "what to do" to both the teacher and line of kids facing the flipchart. Begin by walking through the motions without the song, but saying the lyrics aloud. Then pair up the kids with one line NOT facing the lyrics or teacher. That line with their backs to the lyrics must "follow" what their partner is doing. Of course, their partner CAN see the teacher and lyric-post-its. After practicing, do it with the music playing! Then have the pairs switch roles. 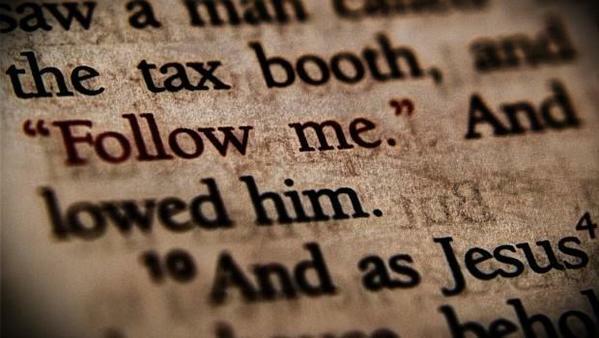 What can you do to make sure you are following Christ's Way, and not some fake or bad interpretation of what some people THINK is Jesus' way? Here are some of the obvious keywords from the song that kids/teacher could create motions for and post to your lyrics flipchart. Below are the lyrics, referenced for commentary and teaching purposes. They are readily found by googling them. If you use the song or video in your teaching, please spend the two bucks and buy the song online to support the artist. From the album "And if God is for us..." Winner of Best Contemporary Christian Album of the Year in 2012. The Jesus and his Disciples image comes from Rotation.org's Outline to "The Passion" miniseries produced in 2008 by BBC/HBO. ... way to learn the names of the disciples is the following song, sung to the tune of "Bringing in the sheaves." He has called us too, He has called us too. We are His disciples, I am one and you. Tune of "Jesus Loves Me"
"There Were Twelve Disciples", you can find a Midi title at http://www.cyberhymnal.org/htm/t/w/twere_12.htm that might be fun. Karen and Kids - has a song called "Disciple Song" on her CD "Let the Children Come." I haven't heard this particular song, but many of her songs are fun with kids. Wesley Putnam Ministries has a wonderful CD called Songs for the Quest. Included is a song called "The 12 Disciples." Hear a sound clip on iTunes. (If this link goes dead, search on iTunes for Wesley Putnam, Songs for the Quest.) There are many other wonderful songs on this tape and I feel it would be an asset to our library of materials. This is going to be my song of choice. I had some trouble with the Wesley Putnam ministries, but if you call them (Telephone — (817) 285-8008 or Order Line — 1(800) 530-4949) they are friendly and happy to bill your church! We are just finishing up a lesson set on the calling of the 12 disciples. We are new to the rotation and are starting with ideas online until we get more established. 'Cause Jesus is our Friend! I took the song "The Twelve Disciples" by Judy Hall (see end of her lesson link) and set it to the tune of "We Will, We Will Rock You" with kids doing two knee slaps and a clap as the rhythm. We sing two lines and then "We are, We are the disciples"... you have to change the rhythm a little of the "verses" to make it all fit.